Rainbow, a colorful male fish, and his friends are learning important life lessons including friendship, sharing, tolerance, perseverance, patience and problem solving. 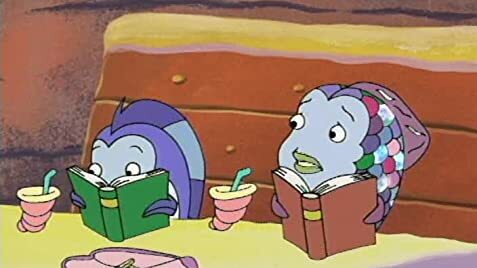 "Rainbow Fish" is one of my personal favourite shows on Tiny Pop. 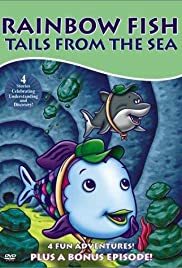 It tells the story of a young fish named Rainbow and together with his friends, Seafilly and Bloom they have lots of funny and exciting adventures. My favourite character is, of course, Rainbow, because he's so colourful and is kind and loving. And is always determined to solve a mystery. My most hated character, is Chomper the Shark, he always picks on Rainbow and his friends and is a bully. It was one year ago, when I started watching this and, as and 11-year old, I still love it. I thought this show is fun for all ages, no matter what age you are, I will guarantee you'll love it. My favourite episode was when Rainbow rescued a whale named Billy and Billy is Rainbow's personal bodyguard. But soon Rainbow gets tired of having Billy always protecting him and thinks of a plans to get rid of him. This show is also delivers a great message, that always believe in yourself and I think that is a wonderful message for young kids. The animation was really colourful and sweet, when you watch it you can see a mixture of colours. The voice-animation was great too, really complex and solid. This show gives you a mixture of feelings, it will make you be anxious, laugh and it even makes you cry. A great show, fun for all ages.